Yes, we are talking about more money. Wouldn’t it be nice to increase income without having to sell another house or schedule two more hair appointments? Did you know that 6.4% of the United States working population are self-employed? That’s a lot of bookkeeping to be done by non-accountants. Although it might seem tedious and confusing, it is very important for self-employed individuals to keep accurate books. Having accurate books can: help monitor the progress of your business, keep track of your deductible expenses, and help prepare your tax return. Whether you choose to use ALOEwerx Cloud Based Accounting or not, bookkeeping can increase income for your business. Monitoring the progress of your business is very critical because things can change very gradually to the point where they become unnoticed. Accounting records can show whether your business is improving or how something isn’t working well and needs to be changed. At ALOEwerx we will do the accounting for you and detect these changes. Bookkeeping can show you the change in costs over different projects or the revenue received overtime. When you monitor these things you can change your prices, lower your costs, or improve efficiency to increase income. Keeping track of your deductible expenses is also important, especially when it comes time to file your taxes. Some expenses that you incur in your business can be deducted from your taxes. What does this mean you might ask? When you have deductible expenses, you can subtract them from your taxable income, in the end lowering the amount of taxes you have to pay. Some examples of deductible expenses include medical premiums, mileage, advertising, and supplies. 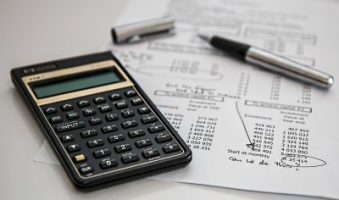 ALOEwerx is committed to our painless accounting services model, and will keep track of these and deducting them for you when we file your taxes. Lastly, you can save money and increase your profit by saving on taxes. Keeping accurate books allows ALOEwerx or another self employed bookkeeping accountant to save you the most money on your taxes. When all accounts are accurate and in one place, it takes less time to prepare your tax return, so you will receive your tax refund sooner. Also, as mentioned earlier, ALOEwerx can claim all available deductible expenses and make sure that your gross income is correct. By keeping your books clean & accurate, you can get a bigger and faster refund by minimizing the amount of taxes you pay. ALOEwerx looks to work with self-employed individuals, providing them with a CPA, accountant, and bookkeeper. We work side by side to make sure your bookkeeping and taxes are taken care of. By choosing us, you choose a painless accounting service where we can help you to grow and increase your profits.